ETA With a cursory search, I can't find a publisher called Alpha with a logo that matches, either. Hmmm.... No USG copyright on the cards? I doubt the publisher is in the US then. And I agree with Laura that unless the cards are on incredibly thin stock, it doesn't look like a full deck. It also looks like each stack of cards is shrinkwrapped, which seems odd. Wish I could see the bottom of the box more clearly. http://www.turnaround-uk.com/publisher/alpha-books.html looks like the publisher based on the logo, but I don't see that deck in their current catalog. Doesn't mean they didn't publish it in the past though. There is a tarot deck and book set from Alpha Books published in Canada - https://www.banyen.com/products/idio...k-and-book-set. Wonder if that's the deck in that set? For a second I thought I had badly typoed! But it is indeed the deck that comes with that set. The eBay seller responded and said that the bottom of the deck says it was published by Penguin Group and that there is also a url for idiotsguides.com. Curiosity got the best of me, so I bought it. 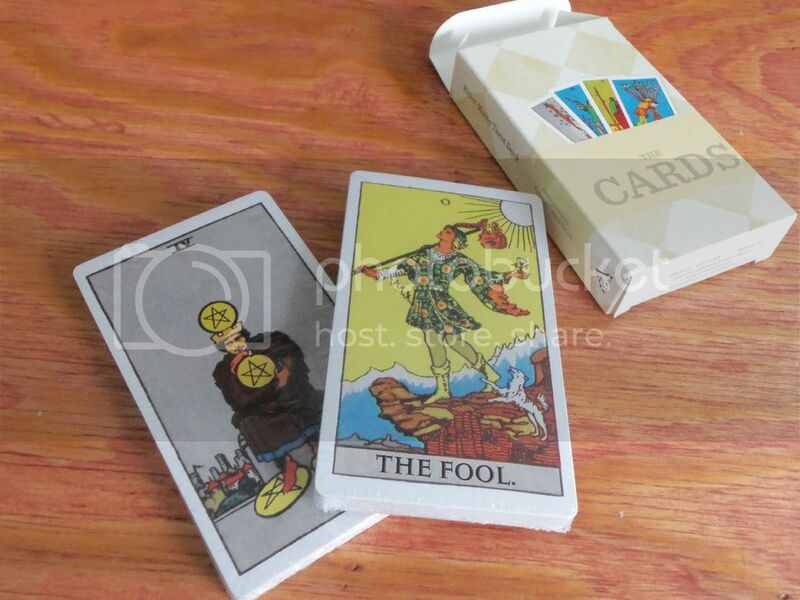 I figured it was part of a book/deck set since it was called "The Cards" but I was trying to figure out if it was part of a set that I would want. I would probably never read the book that comes with this set. Hopefully the cards are not total rubbish. I started to go there, but decided not to.